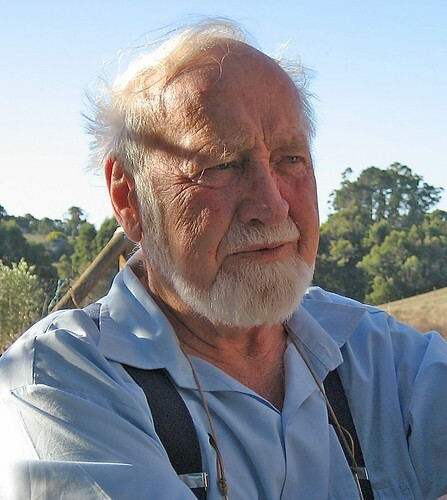 Bill Mollison is a worldwide leader in the field of permaculture. He co-developed permaculture as a systematic method with David Holmgren during the 1970s. The word "permaculture" originally referred to "permanent agriculture", but has been expanded to also stand for "permanent culture" as it was seen that social aspects were integral to a truly sustainable system. Mollison has described permaculture as "a philosophy of working with, rather than against nature; of protracted and thoughtful observation rather than premature and thoughtless labor; and of looking at plants and animals in all their functions, rather than treating any area as a single project system." 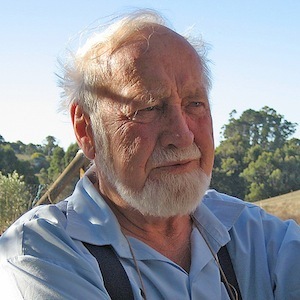 In 1954, Bill Mollison joined the CSIRO’s (Commonwealth Scientific and Industrial Research Organisation) Wildlife Survey Section, and for the next nine years worked in many remote locations in Australia as a biologist doing field work on rabbits, locusts, mutton birds, and forest regeneration problems with marsupials. In 1963, he spent a year at the Tasmanian Museum in curatorial duties, then returned to field work with the Inland Fisheries Commission surveying the macro-fauna of inland waters and estuaries, recording food chains and water conditions in all the rivers and lagoons of Tasmania. He returned to his studies in 1966. Upon receiving his degree in bio-geography, he was appointed to the University of Tasmania where he later developed the unit of Environmental Psychology. During his university period (which lasted for 10 years), Bill independently researched and published a three-volume treatise on the history and genealogies of the descendants of the Tasmanian Aborigines. In 1974, he and David Holmgren developed and refined the permaculture concept, leading to the publication of Permaculture One and Permaculture Two. Since leaving the University in 1978, Mollison has devoted all his energies to furthering the system of permaculture and spreading the idea and principles worldwide. He has taught thousands of students, and has contributed many articles, curricula, reports, and recommendations for farm projects, urban clusters and local government bodies. In 1981, Bill Mollison received the Right Livelihood Award (sometimes called the ‘Alternative Nobel Prize’) for his work in environmental design. In recent years, he has established a ‘Trust in Aid’ fund to enable permaculture teachers to reach groups in need, particularly in the poorer parts of the world, with the aim of leaving a core of teachers locally to continue appropriate educational work. He is one of the Directors of the Permaculture Research Institute, which was established in 1979 to teach the practical design of sustainable soil, water, plant, and legal and economic systems to students worldwide.